The new Native Instruments Traktor Kontrol Z2 2+2 MIDI Mixer is a heavy-duty Traktor Scratch Certified two-channel professional DJ mixer with on-board Traktor Pro 2.6 MIDI controls for many of the advanced DJ software features such as Loops, Remix Deck Slots, Hotcues, Macro-FX and much more. The Traktor Kontrol Z2 is the first true DJ mixer produced by Native Instruments that will perfectly compliment the Traktor software (with DVS package) while also providing DJ’s with an true analog DJ mixer solution to play non-software sources like audio CD’s from CD decks or vinyl from turntables. Check out my Full HD-Video and written reviews after the jump. 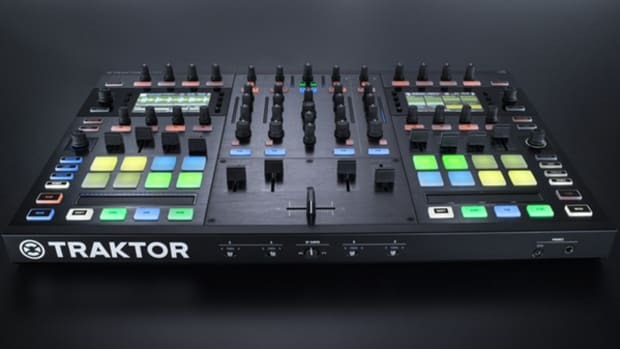 The new Native Instruments Traktor Kontrol Z2 2+2 MIDI Mixer is a heavy-duty Traktor Scratch Certified two-channel professional DJ mixer with on-board Traktor Pro 2.6 MIDI controls for many of the advanced DJ software features such as Loops, Remix Deck Slots, Hotcues, MacroFX and much more. The Traktor Kontrol Z2 is the first true DJ mixer produced by Native Instruments that will perfectly compliment the Traktor software (with DVS package) while also providing DJ’s with an true analog DJ mixer solution to play non-software sources like audio CD’s from CD decks or vinyl from turntables. The Traktor Kontrol Z2 resembles the other Traktor Kontrol DJ controllers that are in the NI family, but the Z2 has a seriously heavy-duty all-metal chassis that makes this thing feel like a tank. The Z2 has a nice rubberized coating on the side panels, metal on the bottom/front/rear and a shiny plastic inlay in the middle of the front panel similar to what is found on the S2/S4. My only minor gripe with the build quality is that all of the knobs have plastic posts underneath instead of metal posts meaning the user must be careful not to expose the mixer to any hard knocks during transport. The knobs all have a rubberized coating to them and they still feel very good to the touch and easy to control. Overall the Traktor Kontrol Z2 is very well made and it feels like it will last for years and years to come. The buttons are a mixture of plastic (for indicator controls) and rubberized pads (for Hotcue, Remix Deck, and FLUX controls) that feel like they are smaller versions of the pads found on the Traktor Kontrol F1. All of the buttons have a long-lasting feel to them and they all illuminate so the DJ knows the “mode” they are currently in. The rubberized pad buttons are also illuminate color coded to match the file color type found on the audio loaded in the top Remix Deck slots of Decks C and D. The sound quality of the Traktor Kontrol Z2 is top-notch with club-tier performance throughout our entire testing period. The back of the Traktor Kontrol Z2 has all of the inputs and outputs. There are four RCA Stereo Inputs (2 x Line, 2 x Phono), an RCA Aux Input for any additional Line Level device such as an iPod or MP3 player and a quarter-inch Mic Input. There are also a healthy number of outputs with a quarter-inch Booth Out, RCA Record Out and an XLR Main Out. There’s also a USB Port to connect to the computer and a two port USB Hub. 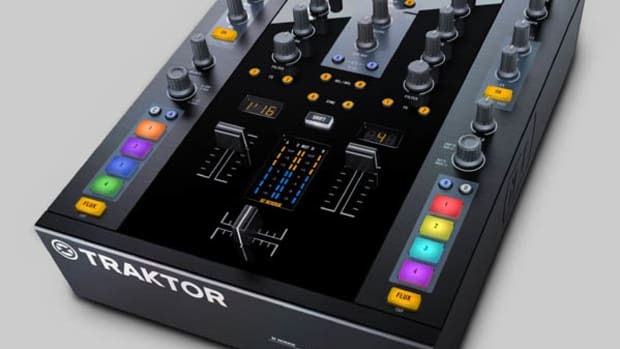 One of the standout and most obvious features of the Traktor Kontrol Z2 mixer is the inclusion of an internal high quality DJ soundcard and the full version of the Traktor Pro 2.6 DJ software which will allow DJ’s to connect two external CD or vinyl turntables with timecode control CD’s/Vinyl directly into the Z2 mixer for a complete DVS solution. Users can then use their CDJ’s or Vinyl turntables to manipulate and playback the music files that are stored on their computer. The setup process was very easy as all I had to do was download the Traktor Pro 2.6 software from the internet using the provided Key and then run the software setup disc in my computer. After that, I had to connect the mixer to the computer using the supplied USB cable and connect the two vinyl turntables (with the supplied timecode vinyl) to the RCA inputs on the back of the Traktor Kontrol Z2. The Z2 also has a built-in USB hub with two additional USB ports on the rear of the unit which I used to plug in the Traktor Kontrol F1 and an external hard drive with all of my music files. The DVS setup performed flawlessly with super-low latency on both vinyl and CD timecode throughout our testing and everything was truly plug and play. 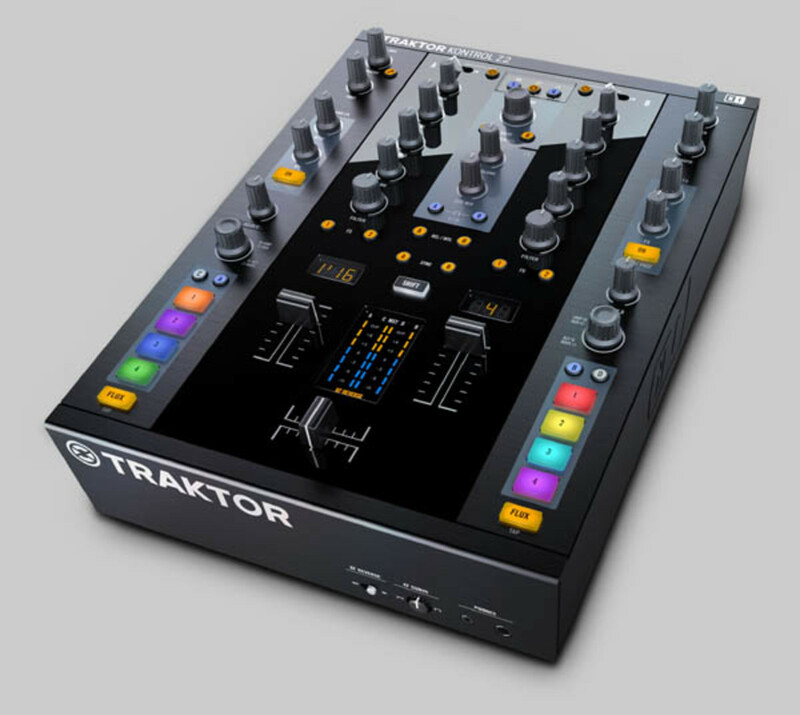 The Traktor Kontrol Z2 mixer can also be used as a standalone mixing controller to control the functions of Traktor while performing with only a computer. 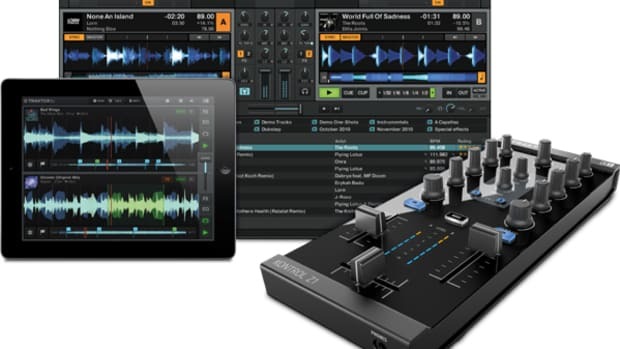 The decks then become all virtual (within the software) and the DJ can even switch between the virtual decks or live CD/vinyl input decks by pressing the Traktor Control Button at the top of each channel. You can switch between the line or phono inputs by using the metal-post input selector at the top of each channel or pressing the Traktor Control button. On a side note, the entire mixer is MIDI mappable meaning that every single button, knob, and fader sends MIDI information over USB and can be used with any other software of your choice or the Z2 can be totally remapped in Traktor to your own custom liking. At the root of every mixer are the faders. All three of the faders found on the Traktor Kontrol Z2 are Mini-Innofaders with a superb feel. The crossfader is really loose and as smooth as buttery silk. 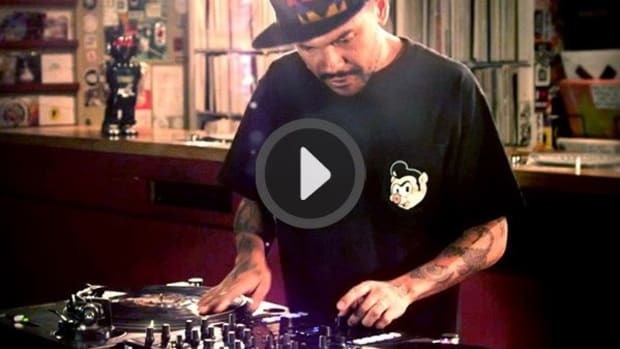 It has a low cut-in distance of only 1mm making it very easy to pull off all of the scratch-tastic moves that turntablists love. On the front panel of the mixer, there is a crossfader curve control knob and a crossfader reverse switch. The linefaders feel like they have much more resistance to them which is great for accurate mixing. The linefaders are not adjustable in any way so these will be used mostly for mixing purposes instead of scratching. All of the Mini-Innofaders are very sturdy, precise, and built to last but if you need something even better, NI has assured us that full-sized Innofaders can fit into all three slots if one deems it necessary. In the middle of the linefaders, there is a seven-bar Master and Line level LED indicator strip which is nice and detailed for just the right volume control. The middle indicators show either the Master volume level or the C/D deck volume levels while the outside indicators show the A/B deck volume level. Above the level indicators is the rubberized Shift button that will allow for some buttons and knobs to have additional functions. Above this is the A and B deck sync buttons (to sync the tracks together), the REL/INTL A and B buttons (to switch between timecode control or internal software control OR to play tracks when SHIFT is pressed), and the CUE A and B buttons (to preview the track on that deck in the headphones). Above the Cue buttons are the Cue/Mix knob and headphone volume control knob. Towards the upper-middle of the Z2 is the transport controls. There is a Load A and Load B button to load the highlighted track into the deck of choice and an over-sized rotary encoder knob with notches and clicks to scroll through the tracks and folders. All the way to the top above the transport controls are the Quantize button to make sure everything stays in sync and the Snap button to toggle between vinyl and snap mode. Each Channel has its own over-sized High-Low Pass filter which works with or without software control meaning it will work within Traktor or when using normal analog decks on the RCA inputs. Each deck also has an FX1 or FX2 button to activate the effects from either FX module 1 on the left or the FX module 2 on the right. Above the filter is the 3-band full-kill EQ and gain knob. The shared microphone/AUX input controls are located at the top left of the Z2. There is a plastic button to either toggle between MIC or AUX control, a knob for volume, and another knob for TONE (EQ) control. On the top right of the mixer is the separate BOOTH and MASTER volume control knobs. to learn more about MacroFX directly from the NI website.) 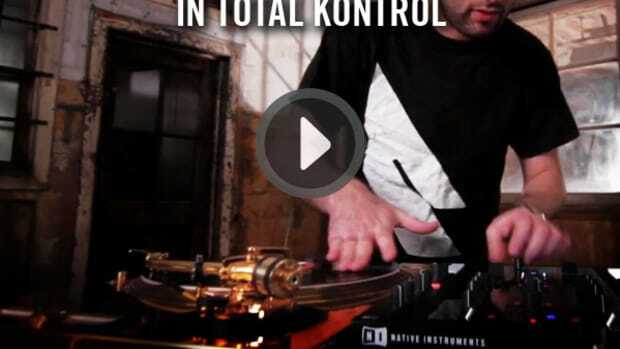 Each MacroFX section on the Traktor Kontrol Z2 only controls one effect at a time. Traktor can handle three different effects per FX bank, so some super-effects users would’ve liked to see more knobs and buttons for easier control of multiple effects in a single FX bank, but I assume that for most timecode users this level of control would be enough. The Traktor Kontrol Z2 is also known as a 2+2 Mixer because below the MacroFX sections are volume knobs on both sides to control the volume of Deck C and Deck D. The C and D knobs make it possible to play audio from the two additional unseen decks within Traktor. Moving downwards on the mixer there is a loop knob on each side for each channel. The loop section can be used to create automatic loops by pressing down on the loop knob and using the knob to grow or shorten the loop by bar length. The bar length of the loop is continuously displayed in the small LED indicator above each line fader. Below the loop section is the shared Hotcue and Remix Deck (sample) Buttons. When A or B is selected, then these four rubberized buttons work as Hotcues on the tracks of Deck A or B. 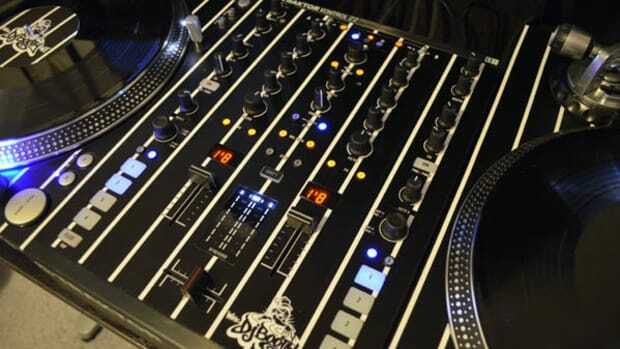 When C or D is selected, then these four rubberized buttons work as the first four slots of the Remix Decks C or D. These four slots can be used as sample banks, full tracks, or even used to do controllerist style performances similar to the highly publicized DJ Craze Z2 Demo video. All the way at the bottom is the FLUX button which activates Traktor’s new FLUX Mode. When the FLUX button is pressed and the FLUX mode is turned on, the DJ can then play a track and press cue points or loops any way they wish and as soon as the cue point or loop control button is released, the track will continue to play where it would have been if the track wasn’t manipulated at all. It’s pretty hard to explain but it’s just like Pioneer’s Slip-Mode except users can only activate Loops and Cue points but DJ&apos;s can’t scratch with the FLUX feature in Traktor. The Native Instruments Traktor Kontrol Z2 2+2 Controller/DJ Mixer is an excellent Digital Vinyl Solution for any DJ looking to get a heavy-duty mixer with excellent build and sound quality that can seamlessly control the Traktor Pro 2.6 DJ software features. The Z2 has a top-notch built in Traktor scratch certified soundcard and comes bundled with the full version of the Traktor Pro 2.6 software and timecode CD’s or vinyl to get you started. The Mini-Innofader crossfader is silky smooth and accurate while the Mini-Innofader linefaders are very good for mixing. The Traktor Kontrol Z2 has onboard controls for MacroFX, Loops, Hotcues, Remix Decks, FLUX, and Browse/Load controls along with an additional RCA AUX/MIC input and lots of outputs. On the downside, there are no linefader adjustment controls, users can only control one effect at a time per module using the onboard controls, and the knobs all have a plastic post underneath instead of metal. Other than these minor gripes, the Traktor Kontrol Z2 is a solid mixer and perfect for any DJ who uses Traktor Pro DJ software with external vinyl or CD timecode decks for playback. The Traktor Kontrol Z2 also makes for a great mixing tool for controllerists who want to use a modular style of DJ tools and add deck-like controllers to the Z2 for transport and playback needs.